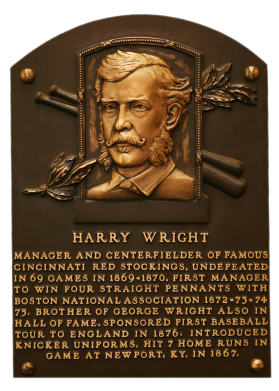 Harry Wright, the older brother of George, was player-manager of the Cincinnati Red Stockings (the first overtly all-professional team), which Harry led to some 130 consecutive victories, fathering professional baseball in the process. He helped start the National Association in 1871, and later managed a number of NL teams, going 225-60 in the National Association and 1,000-825 in the National League. I am just the agent selling items on eBay for the heirs to an estate in the eastern part of Massachusetts. Their forefathers owned a warehouse that they seemed to have reason to fill. Grandpa, in particular, went around buying up estates, and then would pack everything away in the warehouse, which is a sizeable building with a number of levels. The heirs are now trying to empty the contents of the building before deciding exactly what to do with the real estate. Grandpa died in the mid 1930's, so all these goodies have been sitting accumulating dust and other grungy stuff for quite a number of years. At the current time, late summer 2006, I have begun selling the second batch of Old Judge cards to come from this location. This second batch was in a small box in a larger box in the warehouse. These cards are remarkably clean and without any dirt and dust, which leads me to believe that they were items treasured by the owner who amassed them back before Grandpa bought their box and squirreled it away in his warehouse. If Grandpa died in the 30's, then whoever previously owned these cards was probably collecting them during the teens and twenties. So with this explanation you can better understand why I include the following with each eBay listing of these original Old Judge baseball cards. 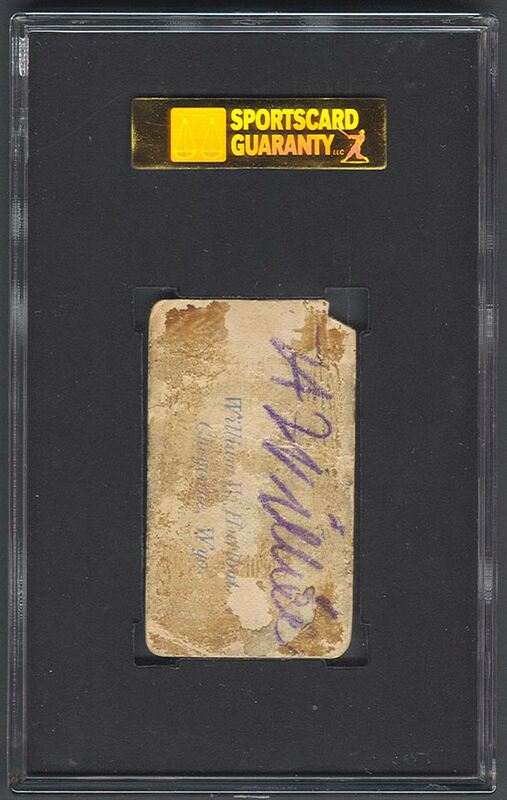 From my eBay listing for each Old Judge card: These cards have been in another group of original Old Judge baseball cards that have been carefully tucked away dry and dark for quite a few years. This is the first time these cards has been available for purchase. I am their agent and they have asked that I not release their name, nor Grandpa's, nor the Massachusetts town in which they reside. Mary Lightner, Wagonland Annex, Bernardston, Mass. The card was slabbed Authentic by SGC. UPDATE: In early March, 2015 BST Auctions introduced their inaugural offering to the hobby. I've had the privilege of knowing Andy Becker, John Spano and Brian Terjung for several years and have always enjoyed spending time with them at Nationals past / baseball games and dinners. They're great guys. It was a great first auction and several items caught my eye. In particular, there was an opportunity for me to upgrade my Old Judge Wright. 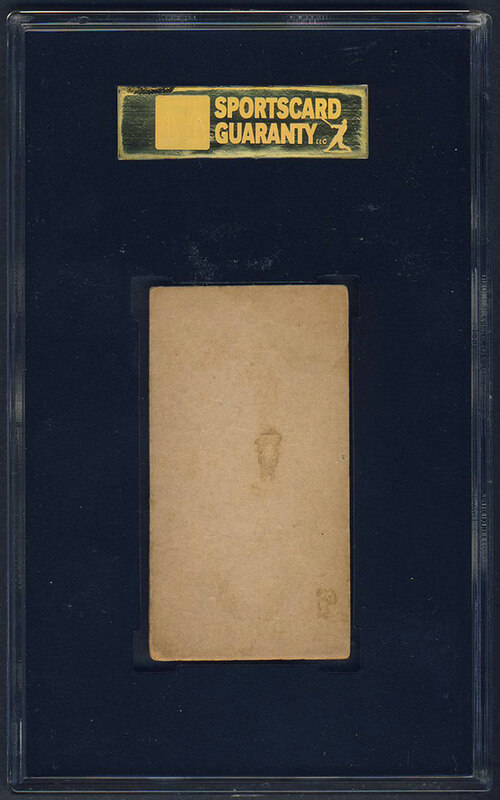 I watched the auction closely and placed a bid early on to ensure I can place additional bids on the final day. At approximately 9PM MST I placed a max bid and crossed my fingers. Between my laptop downstairs, my PC upstairs and my cell phone I must have refreshed the screen over a hundred times. But, my high bid was never pushed. At 1:30am I laid down to bed and before falling asleep, the auction closed. I won!!! The next day I googled the card to compare against past auction results. I guess I should have done this well before the auction closed but hadn't. I found the card had last sold in a Legendary Auction in 2006. My cost was significantly less - score! 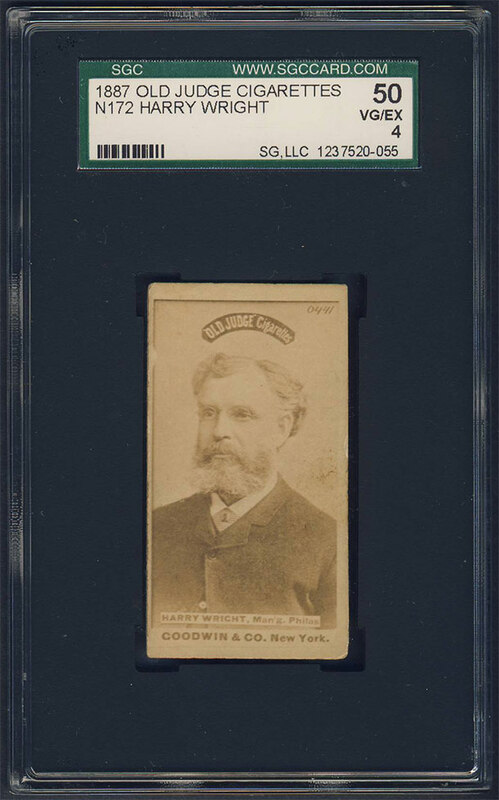 Description: The N172 Old Judge set is the pinnacle of baseball card collecting, consisting of over 3500 known variations.